On the 29th (Sun), stroll through Bloubergstrand Beach, then examine the collection at !Khwa ttu, then take a memorable drive along Chapman's Peak Drive, and finally enjoy the sand and surf at Boulders Beach. Keep things going the next day: examine the collection at District Six Museum, then step off the mainland to explore Robben Island Museum, then examine the collection at Cape Medical Museum, and finally hike along Platteklip Gorge. For photos, more things to do, maps, and tourist information, use the Cape Town trip planner . Sydney, Australia to Cape Town is an approximately 18-hour flight. Traveling from Sydney to Cape Town, you'll gain 8 hours due to the time zone difference. Expect slightly colder evenings in Cape Town when traveling from Sydney in September, with lows around 11°C. Wrap up your sightseeing by early afternoon on the 1st (Tue) to allow enough time to travel to Kruger National Park. Start off your visit on the 2nd (Wed): identify plant and animal life at Game drives at Phalaborwa Gate in Kruger National Park. 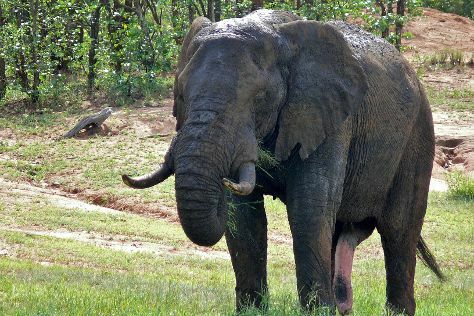 For traveler tips, where to stay, ratings, and other tourist information, read our Kruger National Park online day trip planner . You can do a combination of flight and taxi from Cape Town to Kruger National Park in 7 hours. Alternatively, you can do a combination of flight, taxi, and bus; or drive. Traveling from Cape Town in October, expect Kruger National Park to be somewhat warmer, temps between 32°C and 17°C. Wrap up your sightseeing on the 2nd (Wed) early enough to travel to Luxor. 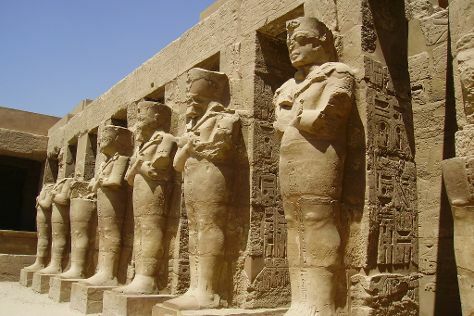 On the 4th (Fri), take a pleasant ride with a tour on horseback, delve into the distant past at Temple of Karnak, get engrossed in the history at Karnak Open Air Museum, then contemplate in the serene atmosphere at Luxor Temple, and finally stroll the grounds of Valley of the Kings. To find reviews, other places to visit, traveler tips, and more tourist information, refer to the Luxor online vacation builder . The Route module can help you plan travel from Kruger National Park to Luxor. Traveling from Kruger National Park in October, expect Luxor to be somewhat warmer, temps between 41°C and 23°C. Finish your sightseeing early on the 4th (Fri) to allow enough time to travel to Cairo. On the 5th (Sat), see the interesting displays at Egyptian Antiquities Museum, take a stroll through Zamalek (Gezira Island), then steep yourself in history at Pyramids of Giza, and finally admire the landmark architecture of Hanging Church (El Muallaqa, Sitt Mariam, St Mary). 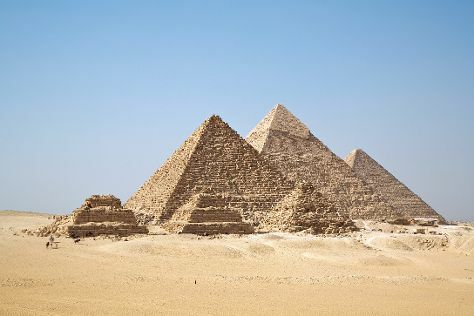 On the 6th (Sun), you'll have a packed day of sightseeing: head outdoors with Outdoor Activities, appreciate the history behind Great Sphinx, and then delve into the distant past at Saqqara (Sakkara) Pyramids. To see ratings, photos, reviews, and tourist information, read Cairo trip itinerary app . Fly from Luxor to Cairo in 3 hours. Alternatively, you can drive; or take a bus. Traveling from Luxor in October, you will find days in Cairo are little chillier (34°C), and nights are about the same (23°C). Finish your sightseeing early on the 6th (Sun) to allow enough time to travel to Athens. Start off your visit on the 7th (Mon): kick back and relax at Glyfada Beach, then kick back and relax at Vouliagmeni Beach, and then identify plant and animal life at Donkey's Land. On the 8th (Tue), you'll have a packed day of sightseeing: explore the striking landscape of Dasoktima Tatoiou. For where to stay, ratings, maps, and other tourist information, read Athens online trip planner . You can fly from Cairo to Athens in 6 hours. Alternatively, you can drive. Expect a bit cooler temperatures when traveling from Cairo in October; daily highs in Athens reach 28°C and lows reach 18°C. Finish up your sightseeing early on the 9th (Wed) so you can travel to Fira. Start off your visit on the 9th (Wed): take in the exciting artwork at Ernesto Workshop & Gallery, pause for some serene contemplation at Cathedral of Saint John the Baptist, see the interesting displays at Cultural Village, then enjoy the sand and surf at Perissa Black Sand Beach, then delve into the distant past at Akrotiri, and finally kick back and relax at Red Beach. On your second day here, examine the collection at Wine Museum Koutsogiannopoulos, learn about winemaking at Venetsanos Winery, and then enjoy the sand and surf at Vlichada Beach. To find traveler tips and tourist information, refer to the Fira vacation planner . Getting from Athens to Fira by flight takes about 3.5 hours. Other options: ride a ferry; or do a combination of flight, taxi, and ferry. In October, plan for daily highs up to 27°C, and evening lows to 20°C. Wrap up your sightseeing on the 10th (Thu) to allow time to travel to Istanbul. On the 11th (Fri), take a stroll through Sultanahmet District, delve into the distant past at Basilica Cistern, get engrossed in the history at Topkapi Palace, then get engrossed in the history at Hagia Sophia Museum / Church (Ayasofya), then appreciate the history behind Sultanahmet Square, and finally take in the spiritual surroundings of Sultan Ahmed Mosque. On the 12th (Sat), you'll have a packed day of sightseeing: explore the world behind art at Kariye Museum (The Chora Church), then take in the spiritual surroundings of Rustem Pasha Mosque, then admire the landmark architecture of Suleymaniye Cami , and finally take in panoramic vistas at Galata Tower. To see other places to visit, maps, and more tourist information, read Istanbul travel site . Fly from Fira to Istanbul in 6.5 hours. Alternatively, you can do a combination of ferry and car; or do a combination of ferry and bus. The time zone changes from Eastern European Time (EET) to Eastern European Time (EET), which is usually a 1 hour difference. Plan for somewhat warmer nights when traveling from Fira in October since evenings lows in Istanbul dip to 26°C. Wrap up your sightseeing on the 12th (Sat) early enough to travel to Gallipoli. The Gallipoli peninsula is located in the southern part of East Thrace, the European part of Turkey, with the Aegean Sea to the west and the Dardanelles strait to the east.Gallipoli is the Italian form of the Greek name "Καλλίπολις" (Kallípolis), meaning "Beautiful City", the original name of the modern town of Gelibolu. Kick off your visit on the 13th (Sun): contemplate the long history of Anzac Cove, kick back and relax at Bolayir Plaji, then explore the different monuments and memorials at Fransiz Mezarligi, then take in the spiritual surroundings of BayraklI Baba Turbesi, and finally contemplate in the serene atmosphere at Gelibolu Mevlevihanesi. For other places to visit, maps, more things to do, and other tourist information, go to the Gallipoli trip planner . Traveling by car from Istanbul to Gallipoli takes 3.5 hours. Expect a bit cooler weather when traveling from Istanbul in October: highs in Gallipoli hover around 23°C, while lows dip to 13°C. Cap off your sightseeing on the 13th (Sun) early enough to travel to Abu Dhabi. Start off your visit on the 14th (Mon): get outside with Outdoor Activities, look for all kinds of wild species at Wildlife Areas, and then contemplate in the serene atmosphere at Sheikh Zayed Grand Mosque Center. On your second day here, get some thrills out on the water with a waterskiing or jet-skiing adventure, take in the exciting artwork at Folklore Gallery, then tour the pleasant surroundings at Saadiyat Public Beach, then explore the world behind art at Louvre Abu Dhabi, and finally admire the masterpieces at Warehouse 421. 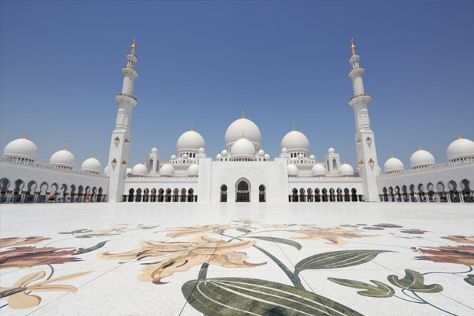 For photos, where to stay, reviews, and other tourist information, you can read our Abu Dhabi driving holiday planner . Explore your travel options from Gallipoli to Abu Dhabi with the Route module. The time zone difference moving from Eastern European Time (EET) to Gulf Standard Time (GST) is 1 hour. Expect much hotter temperatures when traveling from Gallipoli in October; daily highs in Abu Dhabi reach 42°C and lows reach 31°C. Wrap up your sightseeing on the 16th (Wed) early enough to travel back home.